Driveway Pavers Miami is a professional hardscape and paving company serving all of Miami, FL and the surrounding Miami-Dade County area. We are a fully established paving contractor who are fully staffed with licensed workers and design specialists. It is our goal to ensure that you are getting both professional and expert hardscape and paving services for either your home or business (or both!). Choosing the right hardscape and paving company can be crucial, especially because these projects are usually big projects for your home or business. Instead of just picking a random hardscape company that showed up under your paving company near me search—go with the professionals! Driveway Pavers Miami offers expert hardscape and paving services, and will make sure that our service to you will be conducted thoroughly and accurately. While working with our professional paving company, you will learn why we are the best paving company in Miami, FL. If you are looking to put a spin on your typical concrete driveway here in Miami, FL, then our professional paving company has the solution for you. Our expert driveway paver installation service is beneficial to both us and our customers. This service is always budget friendly and will ensure that the cost of a new driveway in Miami will be kept as low as possible. Our expert driveway paver installation service only involves a high quality service and high quality paving materials. We offer the following types of pavers for your new driveway: concrete, travertine, old Chicago pavers, brick, and cobblestone. We can also install a stone driveway or an asphalt driveway for your convenience. This is only a small selection of our driveway pavers, and if you are looking for a different paver material we are always happy to help! The driveway paver installation process starts with a simple quote. You can determine what driveway material you are looking for and send us the dimensions of your driveway so that we can build a quote for you. Once this is done, our expert driveway paver installation team will come out to your home or business to recheck all measurements. This allows our Miami driveway paver company to ensure that we have enough material to finish your new driveway. Once this has been done, our expert driveway paver installation team will take care of the rest! The cost of a new driveway in Miami can be intimidating, but here at Driveway Pavers Miami we are dedicated to establishing trust with our customers and providing a budget friendly driveway installation service. You will always get the best value for your dollar, and receive an expert driveway paving service along with high quality driveway pavers. Here in South Florida, we are well aware how great our patios can be. Our patios are a wonderful adjoining addition to our homes that allows for both relaxation and entertainment. There are endless creative possibilities when it comes to your home patio, and Driveway Pavers Miami will make sure that your patio pavers are everything you want them to be. Driveway Pavers Miami is a patio paver company who serves Miami, FL and the rest of Miami-Dade County with expert patio paver installation services. We are fully staffed with patio paver installation experts and design specialists who can assist you with your new patio project. When it comes to patio paver installation in Miami, you want to make sure that you choose the best patio paving company in Miami, FL—Driveway Pavers Miami! Our expert patio paver installation team and design specialists will help you design a beautiful patio fit for your budget and personal taste. We take care of everything from helping you design your new patio, helping you to determine the best patio paver material for your new patio, and to the patio paver installation. It is our goal to make this process enjoyable and simple for you so that you know you chose the best patio paving company in Miami, FL. Have you ever thought about designing a beautiful outdoor kitchen, but were unsure if this type of project was in your price range? Maybe you are concerned that your future outdoor kitchen would need constant maintenance and would be difficult to take care of. Regardless of what your outdoor kitchen concerns may be, Driveway Pavers Miami is here to help! The outdoor kitchen is not simply just a grill cabinet enclosure anymore. The creative limits to custom outdoor kitchens from Driveway Pavers Miami are almost non-existent and we will make sure to meet all of your custom outdoor kitchen needs. To ensure that you are getting the best custom outdoor kitchen service, we also serve as paving contractors. This means that we are able to write you a paving contract that will outline all of our terms of service, what you are expecting from our professional paving company, and all other details involved with your custom outdoor kitchen. Our expert custom outdoor kitchen installation team will work closely with you to design a beautiful outdoor kitchen that is tailored to your project and personal taste. We will help you not only design your custom outdoor kitchen, but will also help you decide what materials are best for your project, what appliances, and cabinetry, and so on. Driveway Pavers Miami will also be able to install a paver walkway for easy access to your new custom outdoor kitchen. All of the pavers that we will use for your custom outdoor kitchen will be specifically made for the outdoors, and sealed with a paver sealer for long lasting pavers. 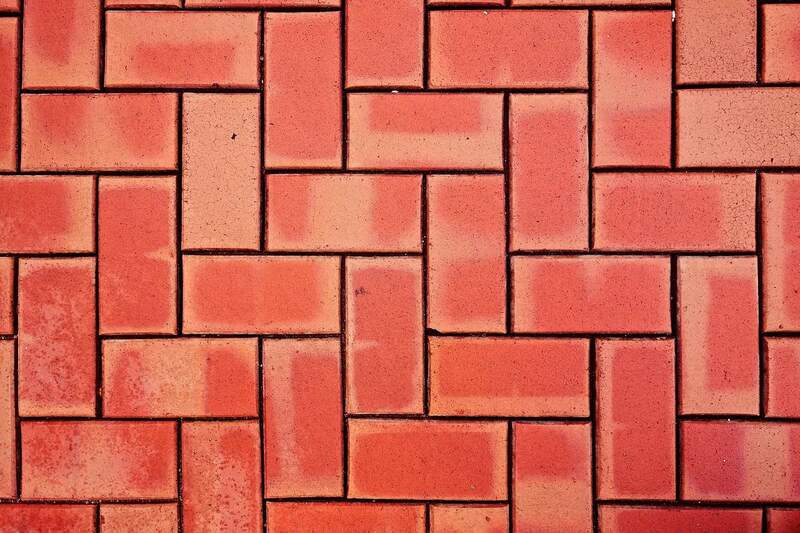 We can also advise you on proper care for your outdoor pavers to ensure that your pavers last even longer. If you are looking for new pool pavers in Miami, then you have come to the right place. Driveway Pavers Miami not only offers expert paving services, but we also offer an expert pool paving service as well. Your pool pavers can be made from any of the high quality stones and pavers that our professional pool paver company offers, and will be cared for with the utmost care. Even if you already have a solid foundation around your pool and are just looking to redo your back patio, Driveway Pavers Miami is here to help. Our expert pool paver installation team will be sure to work closely with you to professionally install new pool pavers around your Miami pool. We can help you design your new back patio, select a pool paver material, and will even advise you on proper care for your back patio. Our pool pavers are also complimented with our paver sealer to help ensure longevity of your new pool pavers in Miami, FL. Driveway Pavers Miami is a professional hardscape and paving company that serves all of Miami, FL and the surround Miami-Dade County area. The weather in South Florida can sometimes be unpredictable, but is certainly diverse. Unfortunately for south Florida residents, we are susceptible to damage done to our outdoor fixtures, such as our driveway pavers, patio pavers, backyard pavers, and so on. This damage should not discourage you from future home projects involving pavers. Instead, choose to work with the best paving company in Miami, FL that can professionally install new pavers around your home and business, and who can also help you maintain these pavers. Our paver maintenance services include: resurfacing, repair, refinish, and sealing. These maintenance services are here for the benefit of our customers. Even if you properly take care of your home pavers, damage is always possible. Driveway Pavers Miami has licensed maintenance specialists who will be sure to perform these services in a quick but accurate manner. In order to determine the best maintenance service for you, our licensed maintenance specialists will come out to your home or business to assess the area in need of maintenance. From there we will discuss with you what you are hoping to achieve, and what we believe your best solution is. From that point, our licensed maintenance specialists will take care of the rest! Driveway Pavers Miami is completely dedicated to all of our customers and providing them with professional hardscape and paving services here in Miami, FL. It is our mission to make sure that you are a completely satisfied with our expert hardscape and paving services, and that your new home or business project is everything that you want it to be. If you are ready to have new pavers installed on your residential or commercial property, feel free to give us a call! We are always happy to help. Driveway Pavers Miami is located in Southwest Miami Florida. Inside Miami Dade County Limits, we are able to serve all of Miami. Being Located in the Heart of Miami allows us to serve all of Miami Florida, including Hialeah, Miami Beach, Miami Lakes, Coral Gables, and other smaller surrounding area in Miami Dade County. Being just north of Homestead allows us to travel down there for special jobs. South Florida is a great place to be located as a paving contractor due to the fact that the climate is always warm and many people are doing construction on their homes or businesses.